After the release of the famous and grand Allure Homme Sport, his fans began to demand the release of a flanker, so at one point the brand perfumers presented a new masterpiece. The wondrous creation turned out to be infinitely fresh and incredibly sensual, in it the energy of the sun and the power of the sea are felt.In one bottle, the ingenuous simplicity of strength, strict style, masculinity, ..
After the release of the famous and grand Allure Homme Sport, his fans began to demand the release of a flanker, so at one point the brand perfumers presented a new masterpiece. The wondrous creation turned out to be infinitely fresh and incredibly sensual, in it the energy of the sun and the power of the sea are felt. In one bottle, the ingenuous simplicity of strength, strict style, masculinity, harmoniously intertwined with athletic grace, charm, predatory sensuality, bold purposefulness, found the embodiment. It is a fragrance of influential energetic natures, which gives a feeling of cheerfulness, confidence and strength. 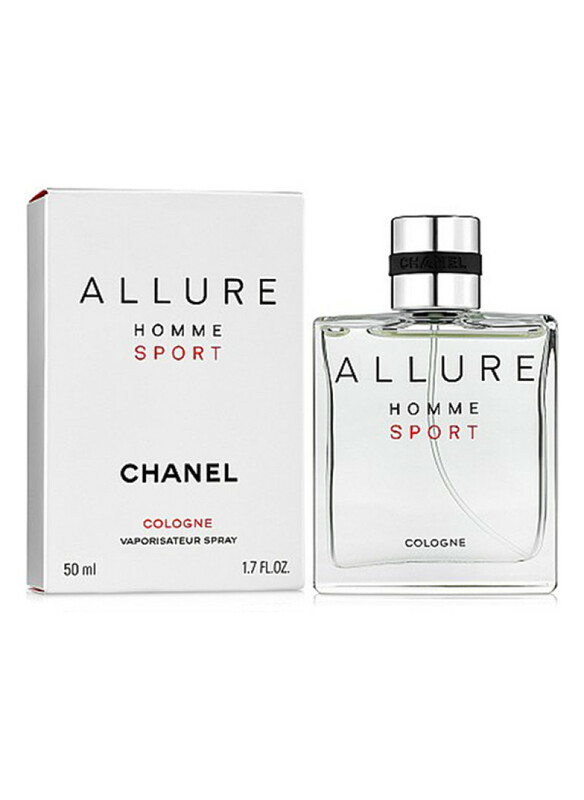 The unique Allure Homme Sport Cologne excites the consciousness of scandalous smoothies, filling it with raging passion, falling in love with itself. After application, it self-opens throughout the day, providing a feeling of constant comfort and freshness. In 2008, this fragrance received the title of the best male smell according to the version of the Spanish Industrial Association, which is called Academia del Parfume.